Throwing some veggies on the grill is a great way to cook up something that's healthy and tasty for a backyard barbecue. 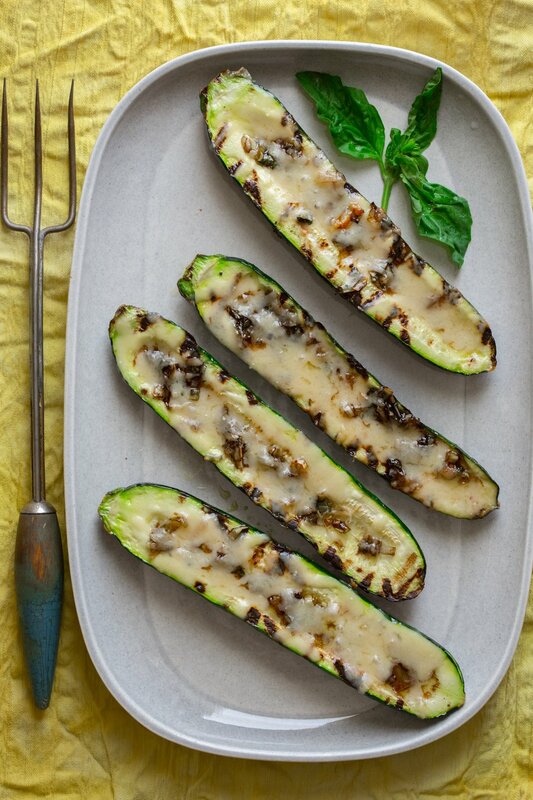 This lactose free grilled zucchini recipe is light and flavorful, and it makes four servings, with two “boats” per servings. This recipe also has a little extra kick thanks to the balsamic sautéed leek mixture, which adds a truly unique flavor. Additionally, if you're thinking of trying out a new side dish for dinner, give this one a whirl—we know the family will love it! After you try it, make sure you rate and review it. Also, feel free to share this recipe and your thoughts on your favorite social media channels like Facebook and Twitter. This recipe is fairly easy to make and won't take long to prepare. Before beginning, make sure to gather up four medium zucchinis and a leek, which should be halved and sliced. Basil can also be used as a garnish, as well. Grilled zucchini often pairs wonderfully with cheddar cheese, so we suggest using Cabot Alpine Cheddar or Cabot Seriously Sharp Cheddar for this dish (the cheese should be shredded too). When preparing, make sure to cut the zucchini lengthwise—you're going to make little “boats” by scooping out the insides of the zucchini, which you'll then fill with this scrumptious mixture of cooked leek, balsamic vinegar and basil. It's absolutely delicious! We take pride in our award-winning cheeses, and we know that you and your family will love all of our recipes that feature our cheeses. 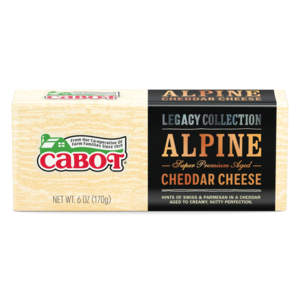 Also, because Cabot is a cooperative of 800 dairy farm families, we understand the importance of only serving the best to your family at dinnertime. This grilled zucchini recipe is a delicious one—we're confident on that—and we're excited to hear what you think of it. Try this recipe for yourself, and then rate and review it to let us know your thoughts. PREHEAT grill to medium heat. Cut zucchini in half lengthwise. Scoop out center with spoon to remove any large seeds and hollow it out slightly. Brush 1 teaspoon oil over zucchini halves. Sprinkle with ½ teaspoon salt and pepper to taste. HEAT the remaining 1 tablespoon oil in a medium skillet over medium heat. Add leek and the remaining ¼ teaspoon salt and pepper to taste. Cook, stirring often until the leeks are softened and starting to brown, 4 to 6 minutes. Stir in balsamic vinegar and chopped basil and set aside. GRILL zucchini halves cut side-down until the zucchini are softened and have grill marks, 8 to 10 minutes. Turn over and fill with the leek mixture. Top with cheese, dividing evenly among the zucchini halves. Cover grill and continue cooking until the cheese is melted and the zucchini is tender, 7 to 8 minutes. My husband and I really like this recipe. (He was the one who suggested we try it.) Since his request was spur of the moment, and I didn't have any leeks, but I did have everything else on hand (the cheese was Cabot Extra Sharp, and the salt just regular salt), and lots of scallions, I used scallions (greens as well as white parts) instead. Recipe definitely a keeper!